Dawn is a supernatural romance and Haggard’s first novel. Haggard wrote Dawn under the title Angela while studying for the bar and living in Norwood. It was first published as an unillustrated triple-decker by Hurst and Blackett, London, on 10 April 1884. Hurst and Blackett paid Haggard £40 for the first 400 copies, and £30 for every 100 copies after. 500 copies were printed in this initial run. Haggard’s bibliographers contest whether J. W. Lovell, New York or Harpers, New York published the first US edition in 1887. J. & R. Maxwell, London, February 1887 published Dawn in one-volume accompanied by a frontispiece by H. French. 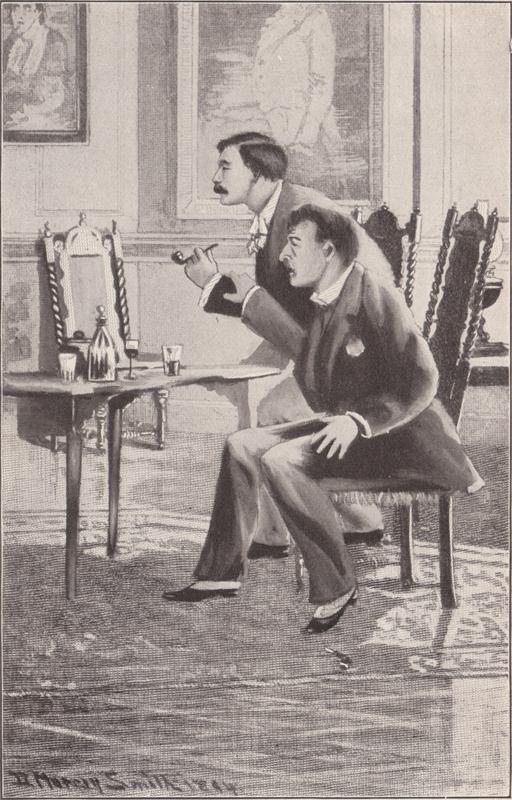 The Spencer Blackett, London, edition from 1888 featured a colored frontispiece by E. Hume. Spencer Blackett, London, published an edition of Dawn with 16 illustrations by Laslett J. Pott and an introduction by Haggard in 1890. Haggard’s introduction and Plott’s illustrations also appear in the Harper, New York, 1890 edition. In 1892 Tauchnitz of Leipzig published a copyright edition. The Longmans, Green, and Co., New York, Silver Library edition was published in 1894, and featured 16 illustrations by D. Murray Smith and a dedication by Haggard. In c. 1906 George Newnes, London, published an edition with eight illustrations by Cyrus Cuneo In 1924 Harrap and Co., London, published an edition of Dawn with a pictorial dust jacket. Pocock, Tom. Rider Haggard and the Lost Empire. London: Weidenfeld and Nicolson, 1993. 57; 59. Whatmore, D.E.. H Rider Haggard: A Bibliography. Westport, CT: Meckler Publishing Co., 1987. F1, 1-3. 1st 1-Volume Edition. London: John and Robert Maxwell, 1887. 1st US edition. New York: Harper & Brothers, 1887. Twenty-Ninth Thousand. London: Spencer Blackett, 1889. The Silver Library; New Impression. London: Longmans, Green and Co., 1920. 1st Edition Thus. London: Harrap and Co., 1924. Early Spencer Blackett Edition. London: Spencer Blackett and Hallam, c. 1888.